Open to registered adult BSA leaders looking for ADVENTURE! 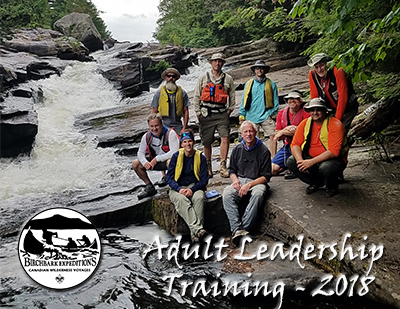 An opportunity for leaders to experience Ontario's Algonquin Provincial Park, earn your BSA Paddle Craft Safety Certification while learning the finer points of canoe tripping and backcountry camping. Held from Saturday through Tuesday in late-July, the program and activities are designed to be fun, include adventure, with adults in-mind. As this is backcountry wilderness camping, good camping skills are highly recommended. Program capacity is limited - REGISTER TODAY!